Getting their 6-part braid on. 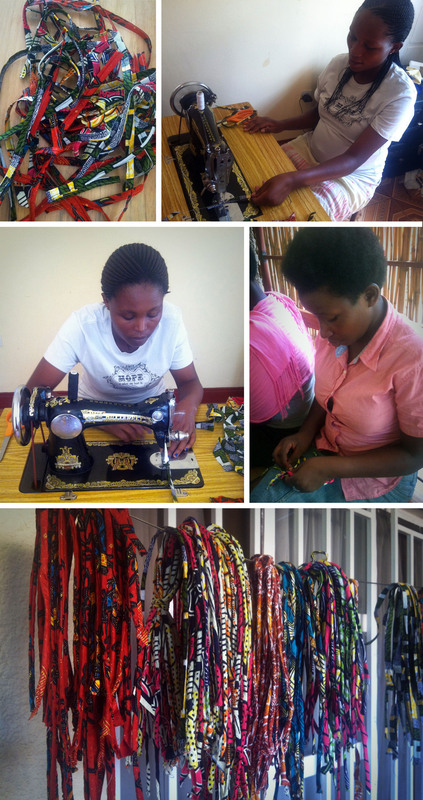 The Peace House ladies have spent the last couple of weeks mastering the sewing machines and working on new products. Along the way, we've learned different braiding techniques, finally sewn some straight lines, and even sold a few of the new products to visitors. 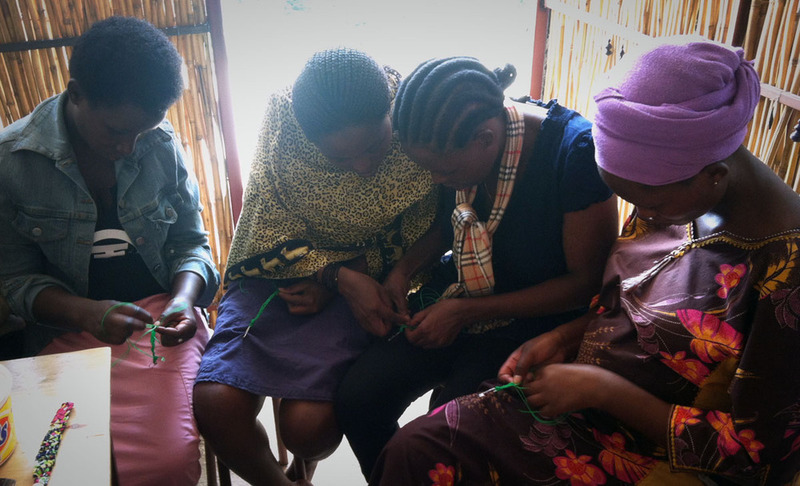 So far, they're at 8 new products, plus super sweet sewing skills added to their repertoire. I'd say we're moving right along! Necklaces & keychains....a couple of the new products made from African fabrics. These necklaces made from recycled t-shirts and paper beads are the ladies' favorite new product so far. First people to buy some of the new stuff. The girls were quite excited!